Woohooo !! I finally got my playstation 3! I had signed up for a preorder at my local EB Games. The manager was kind to me and phoned around to find me a preorder not used in other EB Games stores. I was meant to get it Nov. 17 but unfortunately EB Games had miscalculated/misinformed the stores how many PS3's they would get and i was number 3 in the second batch. One week later the store received 2 extra for the preorders.. which meant i didnt get one the next week. But this friday (Friday Dec 1.) 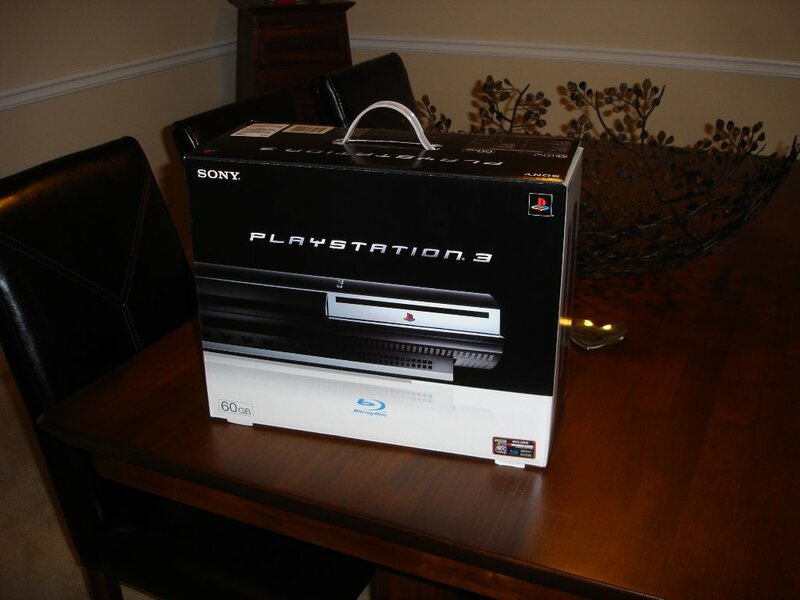 i received a call that my Playstation 3 had arrived. 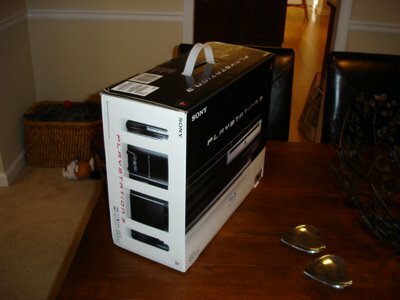 Here are a few picture of the Playstation 3 in the box. At first i used the included cable but that only connected to standard TV. We hurried to walmart to buy a 12' HDMI cable and i must say i am almost happy i saw the result of the standard cable compared to the HDMI cable. HighDef makes a HUGE difference. 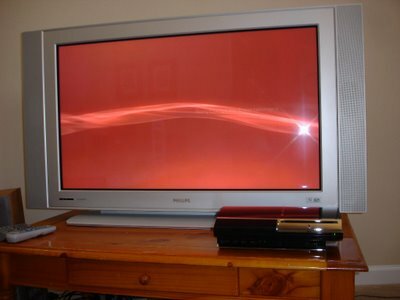 The next picture shows the logon animation when you turn on the playstation. The background color is different depending on what time of the day it is. 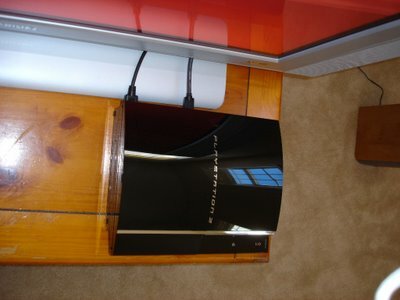 The playstation is very shiny but that also means it very easily gets very visible finger prints. I have rented a game "Resistance : Fall of men" and the HD game looks awesome on my 42" HDTV. I have two free game rentals every month at Blockbuster. This way i can rent the game and see if i like it before i invest $59.99 in a game. Webbrowsing is also surprisingly useable with the Playstaion 3. Many people have pointed out that you cannot do anything with the PS3 while its downloading big files, and i must admit have wasted alot of time waiting for a 600MB+ demo to download. All in all the experience has been excellent. Now i just need to wait to find other people on the playstation network. If you are on the network then you can contact me. My playstation id is "DaBorg".